The Moto X4 has just been launched in India. The phone was unveiled at IFA 2017, in Berlin before it was launched in Europe and the U.S. But unlike the Android One variant launched in the U.S, the Moto X4 in India is a regular Motorola phone. We are not sure why the company has decided to launch a non-Android One version in our Country. 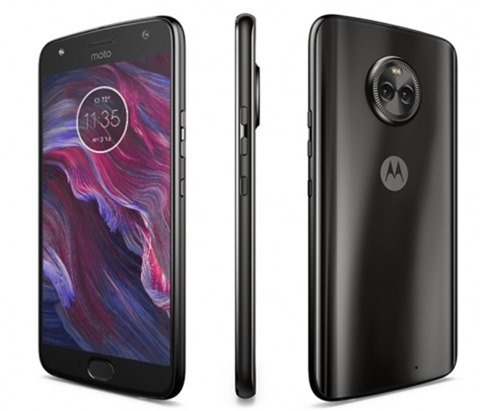 The Moto X4 has a 5.2" Full HD 1080p LTPS IPS display with a pixel density of 424 PPI, with Corning Gorilla Glass on the front and back with a metal body. The X4 runs on Android 7.1 Nougat, and is powered by a 2.2GHz Qualcomm Snapdragon 630 processor, with an Adreno 508 GPU, and has 3GB/4GB of RAM. The phone is available in 32GB/64GB storage variants. The phone design follows most of the other devices from Motorola, with a front placed fingerprint scanner which also doubles as a one-button nav, and a rear camera with a large housing . The only difference is that the Moto X4 doesn't have the flat tire dial-like thing, but still has a very large dial with a bump. 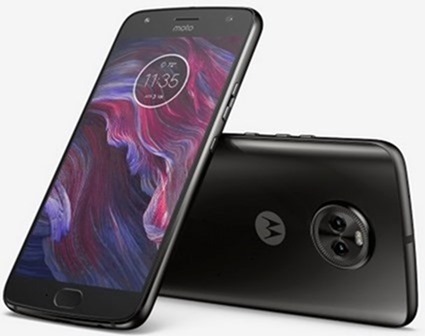 The Moto X4 features dual rear cameras, with the primary sensor being a 12 megapixels dual autofocus pixel sensor with an f/2.0 aperture, 1.4um pixel size, and a wide-angle lens which is an 8 megapixels 120° ultra-wide angle sensor, with an f/2.2 aperture and 1.12um pixel size. The cameras are accompanied by a dual LED Flash, and support Phase Detect AutoFocus (PDAF), depth effects, pro mode. The front camera is a 16 megapixels selfie lens with an f/2.0 aperture, 1.0um pixel size, a selfie flash. In low light, it uses a 4 megapixels adaptive low light mode. The phone has a front speaker and 3 mics, and is IP68 certified to be water resistant. The device weighs 163g and is 148.35 x 73.4 x 7.99mm in dimensions. The Moto X4 has been priced at Rs. 20,999 for the 32GB storage variant,and at Rs. 22,999 for the 64GB storage variant in India. The phone will be available exclusively from Flipkart and Moto Hub, from midnight tonight. The phone will be available in Super Black and Sterling Blue colours.